If you haven't tried Sample Room yet, you must run over there and avail of a couple of samples. They're free! 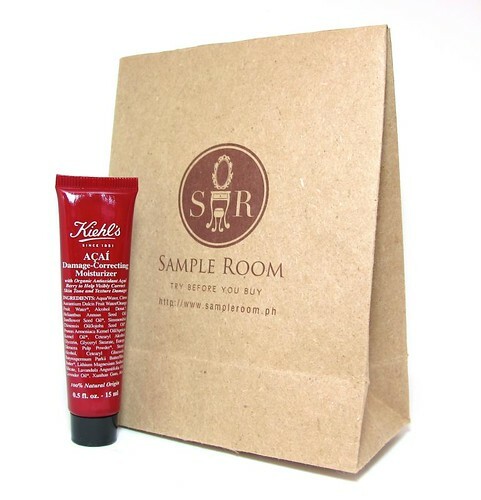 To recap, Sample Room is a beauty sampling service that allows users to choose samples with free points. Users can get back those points by simply reviewing those items. Neat eh? The first wave had Kiehl's, Benefit, Shu Uemura, Calvin Klein and Kerastase for crying out loud. Kerastase gave away 50mil bottles of their best-selling serum! 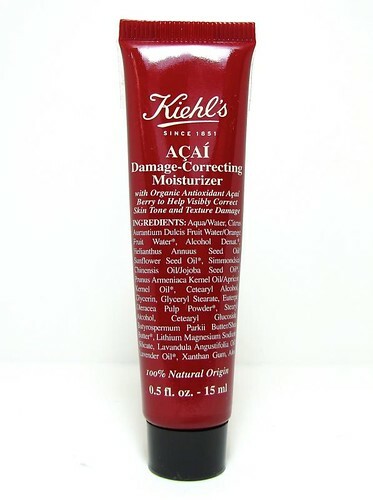 The Benefit Porefessional and Kerastase serum ran out pretty quickly (naturally), but I honestly only wanted one thing: the sample of the Kiehl's Acai Damage-Correcting Moisturizer. I love Kiehl's, and I was then looking for a new moisturizer to use (I found a "new" one now teehee). 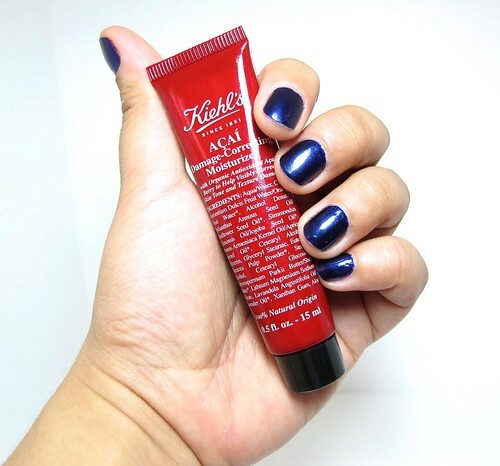 I trust Kiehl's and I'm sure the moisturizer will do wonders - just read the reviews over at Sample Room, they're convincing. It's a 15ml sample which means that I can probably stretch it up to two weeks if used sparingly. I won't use it right now since I'm currently trying out the new moisturizer, but once I've composed my thoughts I will certainly share a review on SR. ;) Honestly I'm just apprehensive that I'll like this moisturizer too much...it's almost P3,000 so ouch for my wallet. Hehe. Anyway! Sorry about rambling like that. The second wave of samples are up at the website. Actually they're not samples - they are full-sized products. Dude, full-sized. Free (well shipping isn't free but who's penny-counting). They have Celeteque cosmeceutical items, Gluta-C, and Dove. So, go na now na! Your samples are shipped within a day after you pay the courier cost, which means you'll get them by the next day (if you're in Manila) and within three business days if you're based in the province. :) Everyone says the service is excellent and I agree. Soooo, have you tried Sample Room yet? Which samples did you get?